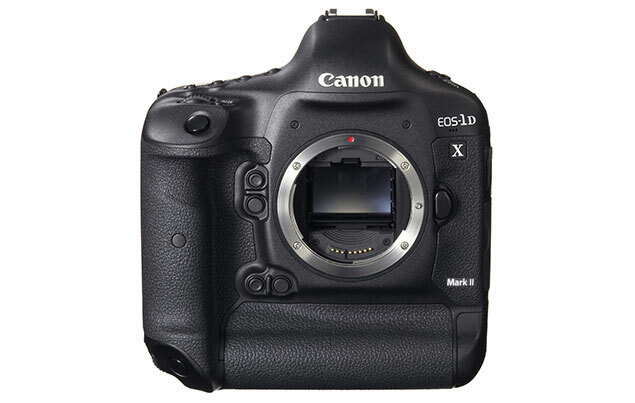 Canon EOS-1D X Mark II camera? The current EOS-1D X camera has been my pick as the best full frame DSLR camera for sports and wildlife photography over three years in a row. According to the latest information I have received, the long awaited EOS-1D X Mark II model will be equipped with 4K video. That indicates to me Canon feels Nikon will definitely include 4K video in their soon to be announced top-of-the-line D5 camera. They also want to make sure Sony, Leica and Nikon are not the only companies with a full frame camera capable of 4K video. In order to support 4K video and other improved features and function, Canon will probably break its usual habit and equip the new camera with their latest processor - DIGIC 7. Up to now, Canon has always introduced their newest processors on the lower end models like the Powershot cameras first. The DIGIC 6 was a case in point. On top of that, the Mark II model will probably come with dual CFast card slots to handle the added processing power and vast amount of data. This means for many owners of the new DSLR, especially those who plan to use the 4K video feature a lot, they will have to buy a whole new supply of more expensive CFast memory cards. My readers know I am a wildlife photographer. After resisting for many months, I have finally and reluctantly replaced my faithful full frame Canon EOS-1Ds Mark III camera with the EOS-5Ds. The main reason is the super high resolution 50MP sensor and the flexibility of the EOS-5Ds to take photos in the 1.3x and 1.6x crop mode. These advantages offset the disadvantage of its slow 5 fps burst rate. My main 'complaint' of the EOS-1D X is its relative modest 18 MP sensor does not offer too many pixels for post processing cropping and I am not a big fan of extenders. Still keeping my eyes open for the upcoming EOS-5D Mark IV. Should be announced after the EOS-1D X Mark II. A combination of the EOS-5Ds, EOS-7D Mark II and the upcoming EOS-1D X Mark II cameras will be the main bodies in my equipment bag. I have many global photo shoots coming up in 2016 and will put the EOS-5Ds and EOS-1D X Mark II through many real world testing and write a comprehensive report on these cameras in the next few months. List price - below $7,000 in the U.S.A.